Aimed at home consumption, the kits put consumers at the helm of amateur mixology. In 2010, Pernod Ricard launched a project called Our/Vodka, with the aim of establishing a brand that was both global and local. Founder and CEO Åsa Caap, who previously worked as the innovations director for the Absolut Company, developed the concept in cooperation with Swedish agency Great Works, and its debut came with the opening of Our/Vodka’s first distillery, Our/Berlin, in 2012. More distilleries have since followed: Our/Detroit opened in August 2014; Our/Seattle (which has since closed) launched in April 2015; Our/Amsterdam debuted in October 2015; and Our/London followed soon after in November 2015. Finally, Our/Los Angeles opened its doors in July 2016, rounding out the international set of Our/Vodka global distilleries. Each of the five current locations produces a maximum of 45,000 nine-liter cases a year. This month, Our/Vodka is releasing a line of four different vodka infusion kits in the United States: Oak, Citrus, Gin Spices and Tea. Each pack is sold with a 375-ml. bottle of Our/Detroit vodka, and are available online or at Our/Vodka distilleries for a retail price of $23.49. 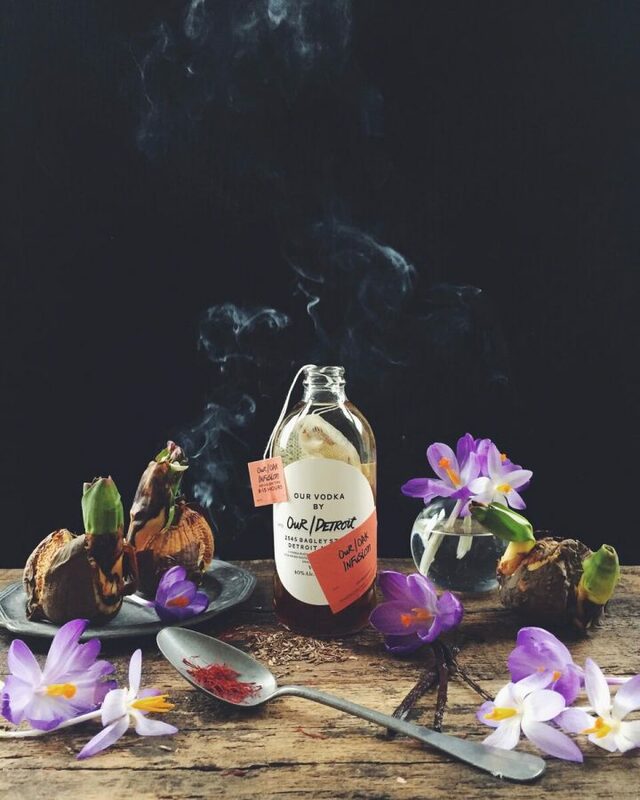 The Our/Oak Infusion, which adds flavors of warm toasted oak, sweet vanilla and a hint of smoke, and the juniper-and spice-based Our/Gin Spices Infusion both require eight to 15 hours of steeping. The Our/Citrus Infusion, which invokes fresh grapefruit and silky white tea flavors, and the Our/Tea Infusion—a full-bodied bergamot tea blend called Classic Earl, with hints of leather and caramel—are infused for only eight to 15 minutes, adding distinct character while staying true to their vodka profiles. 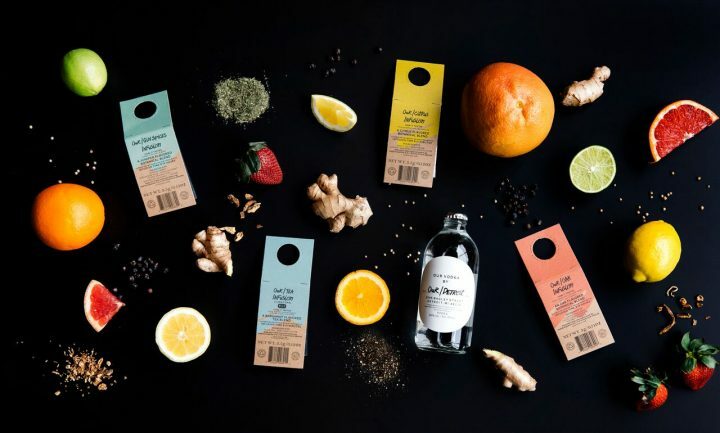 The kits, which were launched in Europe prior to the U.S. release, also include recipes on their tags, targeting consumers who are interested in at-home mixology. Though globally owned, Our/Vodka distilleries are locally operated—two “partners,” who are successful entrepreneurs and active members of their community, run each location. An all-female team of entrepreneurs living in Detroit, for example, runs the Our/Detroit operation, and routinely hosts events at the distillery in an effort to inspire community engagement, outreach and celebration. This is in line with founder and CEO Caap’s original vision, in which the local flair and flavor of individual cities would be expressed by a global brand. All Our/Vodka labels use the same, secret base recipe, but different, locally sourced ingredients unique to their regions. This gives each distillery a distinctive product that is tied to the local community. At Our/Los Angeles, the vodka is distilled from wheat and tastes fresh, pure and mildly fruity, whereas Our/Detroit uses a corn alcohol base from Canada that gives the product a natural sweetness. Two more Our/Vodka distilleries are set to open in Miami and New York City later this year. The kits and the vodka are available at Ourvodka.passionspirits.com.